The Renault ZOE could be a game changing electric car thanks to a low price and fast charging system. Ahead of launching sales of the Renault ZOE all electric car in March, the company released a full write-up on Tuesday. The write-up gives more details on what may be a game-changing electric car, with a low price, great electric driving range, and fast charging. The Renault ZOE is one of four electric vehicles from Renault either in production or nearing production. It is targeted as a city/urban car similar in size to the Renault Clio, and built on the same chassis. The production version was unveiled at the 2012 Paris Auto Show where it won as Best Green Car. 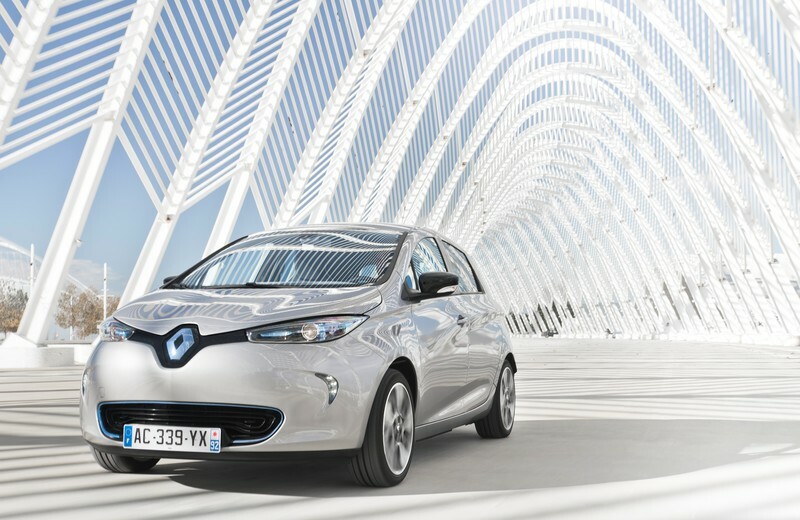 The starting price for the Renault ZOE is €20,700 ($26,820), and in France the car qualifies for a €7,000 deduction ($9,069), making the starting price effectively €13,700 ($17,751). 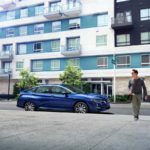 This price is similar to the entry price of the 2013 Nissan Leaf, whose American MSRP is $28,800 and in some states the tax credits bring the price to $18,800. Nissan and Renault are in close partnership, of course. The ZOE’s price does not include the battery pack, which is not purchased with the car but instead leased at the rate of €79/month ($102/month) (for a contract covering 12,500km/year, 7,767 miles/year, over a period of 36 months). The ZOE is a subcompact electric car designed for a price point that should result in high volume sales. The high points are: The low price; an electric driving range up to 90 miles; the ‘Range OptimiZEr’ system, designed to optimize real-world range under all driving conditions; and the Caméléon charging system supporting recharge times as fast as 43 kilowatts at specific fast charging stations. Heating or cooling the passenger cabin doesn’t drain the battery so badly thanks to a a heat pump system adapted from home heating/cooling systems that drastically reduces the energy required. What makes the ZOE a potential game changer in electric cars? First is the pricing and battery lease arrangement. Second, and perhaps most important, is the Caméléon charging system. That system supports several charging systems including the common level 2 and level 1 charging. What makes the ZOE’s Caméléon charging system a game changer is what it does for fast charging. It supports a charge rate up to 43 kilowatts, and does so without requiring an expensive charging station. 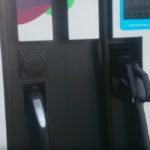 Plus, it can support 11 kilowatt and 22 kilowatt charging rates, giving the car a range of fast charging options depending on what sort of charging station is available. The 11 kilowatt charge rate gives a 2 hour full recharge time, the 22 kilowatt rate requires about an hour for an 80% recharge, and the 43 kilowatt rate supports a half-hour recharge time. 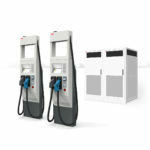 These higher charge rates are implemented with connectors and charging stations not available in the U.S. Europe currently has over 4,000 charging stations operating at 11 and 22 kilowatt charging rates. 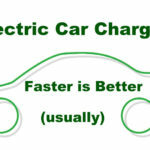 By contrast the typical charging station in the U.S. supports 6-7 kilowatt charging rates. What makes the ZOE a potential game-changer is not just the 43 kilowatt charging rate, but the way that was implemented. The Caméléon charging system repurposes the inverter and motor windings so that the ZOE’s drive train itself acts as the charging station. 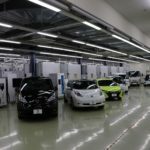 Current fast charging systems, the CHAdeMO and SAE DC Fast Charge, both use an external “rectifier” built into a large refrigerator-sized box to convert AC to DC power at 50 kilowatts or more power levels. These large charging stations are expensive, an expense that should make electric car fast charging infrastructure deployment slower than it could be. The Caméléon charging system does away with the need for an expensive external rectifier. Renault claims fast charging stations for the ZOE will cost one quarter of the price of DC Fast Charging stations and be easier to deploy. The ZOE also includes some interesting passenger comfort features including an activated carbon particle filter to purify air in the cabin, intelligent air conditioning that doesn’t dry out the skin, cabin components designed to minimize allergic reactions, an air ionizer that destroys bacteria and generates negative ions in the air to balance positive ions, and finally an active scent diffuser to release pleasing odors while driving.